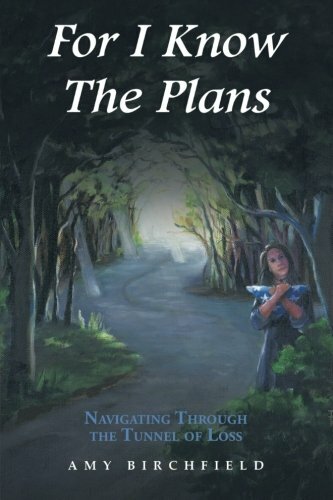 Article first published as Book Review: ‘For I Know The Plans’ by Amy Birchfield on Blogcritics. “For I Know The Plans” by Amy Birchfield is an intimate account of a time in the author’s life as a military wife, around the time of her husband’s death. The narrative opens as Amy shares with the reader, the dreams, and realities of a young military Christian wife. The story begins on Amy’s fairytale wedding day to her handsome prince, Captain Raymon George. The ceremony was filled with tender emotion, their love evident, not just in their vows, but also in all the little details, like the embroidered handkerchief the bride gave to her mother, and a smiling wink the groom gave to his bride. Their beautiful wedding day was the picture of the loving Christian foundation from which their life together would sprout. This foundation will later support Amy through her journey within the tunnel of grief when she loses her husband. Amy Birchfield does a great job sharing her own personal relationship with God, and engaging the reader through her candid, intimate, and heartwarming narrative. Having said that, I have mixed feelings on the writing style, and the focus of the author. On one hand, I understand what Birchfield is doing by sharing her story, and how her faith pulled her out of the tunnel through her journey with such big loss. I truly believe that many readers will find help and inspiration in her words. On the other, I wished she had shared a little more on how she dealt with her husband’s PTSD, as I believe that military wives are true unsung heroes. I hope she considers maybe writing about that to help so many young wives trying to support their husbands. Overall, “For I Know The Plans” by Amy Birchfield is a heart wrenching and heartwarming book that will inspire many readers going through loss. It is also a firsthand account of the life of a military wife as well as a testament to the author’s faith and strength. An inspirational read which I recommend to all those of the Christian faith, as well as other religions.